If you have rental units to fill, you might want to put yourself in your potential tenants’ shoes, and give them what they want. 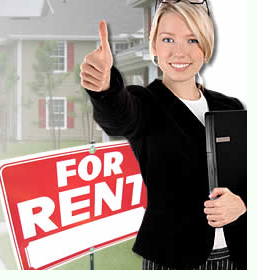 So what do people look for when searching through apartment or rental home ads? Photos: You can’t have too many photos of your rental. Exterior and interior photos are a must for attracting the right tenant. And be sure the photos are done well. Use good lighting or bright, natural light. Be sure to show features like closets, dishwashers, laundry rooms, garages, patios and any attractive views. Neighborhood: Describe the neighborhood, including the distance to grocery stores, pizza places, coffee shops and schools. If you’re close to a high-end neighborhood, but your rent doesn’t reflect it, say so. Pets: More people have pets these days, and consider them part of the family. If you accept pets, say so right off the bat. Specify any limitations, such as size or type of pet (cats or reptiles, for instance), and whether you require pet references. And if you don’t allow pets, you should let people know that, too. Save phone calls, emails and headaches all around with complete information. Rules: You can weed out less-than-desirable prospects by stating any application requirements in your ad, like fees, proof of income, credit and tenant screening checks, and references. Just be sure to treat all applicants equally and fairly to avoid any question of discrimination. The Fair Housing Act prohibits discrimination in housing on the basis of race, color, national origin, religion, gender, family status or handicap.